How do you get your book in front of the right person? Who's the right person, anyway? Is there anything to all this social media stuff? So much of what we hear about blogging, podcasting, social networks, and the rest of the social media toolkit seems to be arbitrary, overly time-consuming, pie-in-the-sky. We might hear the occasional good strategy, but rarely do we understand how to put it into action. And how much will any of this cost you in resources and money? 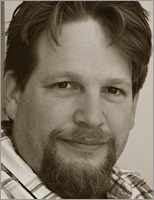 Meet with Chris Brogan for a not-too-techy and not-too-light dive into the world of social media from the mindset of a publisher. Learn how he views the tools and how they apply to the work that you have on your plate for 2009. Leave the presentation with at least three things that will give you immediate results. This is part of a series of live webcasts for the publishing industry from O'Reilly's Tools of Change for Publishing.